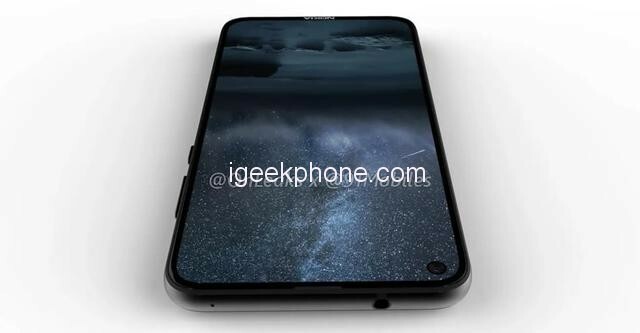 The Nokia X71 with the digging screen design will be officially released soon, and some netizens released the hand-painted design of the machine on the post bar, confirming that the machine is indeed designed for the boring screen and the rear fingerprint unlocking, but the matching The size of the LCD display is not 6.2 inches in the past, but has become 6.4 inches. At the same time, this Nokia X71 is not a dual-camera design of the past exposure, but a combination of 48MP+2MP+5MP rear-mounted three-shot, one of which will have a super-wide viewing angle of 120 degrees. It is worth noting that there are other netizens who have exposed the FIH OTA tracker screenshots and confirmed that the Nokia new machine codenamed “TAS” or “Taisun” and “Taishan” in the past was actually Nokia 6.2 or Nokia X71. This means that the aircraft will be launched as the third generation of Nokia 6. As for the other specifications of the Nokia X71, according to the information disclosed by the post users, the 6.4-inch boring screen equipped with the machine will support FHD+ resolution, and is pre-installed with Android Pie system and has 6GB of memory, equipped with Snapdragon 660 processor. And provides a battery of 3500 mAh. However, the machine is not standard on 6+64GB, or there may be a 4GB memory version. It should be noted that there is still a slight difference between the hand-painted design of the post bar users and the exposure of the Nokia 6.2 back cover spy photos. 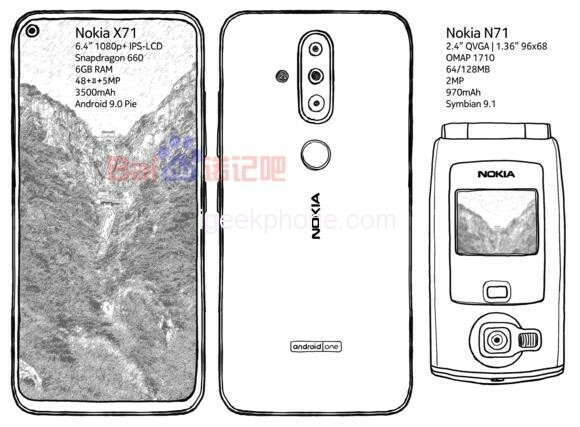 The LED flash is located on the left side of the center-mounted design, and the Nokia leaked from the netizen. 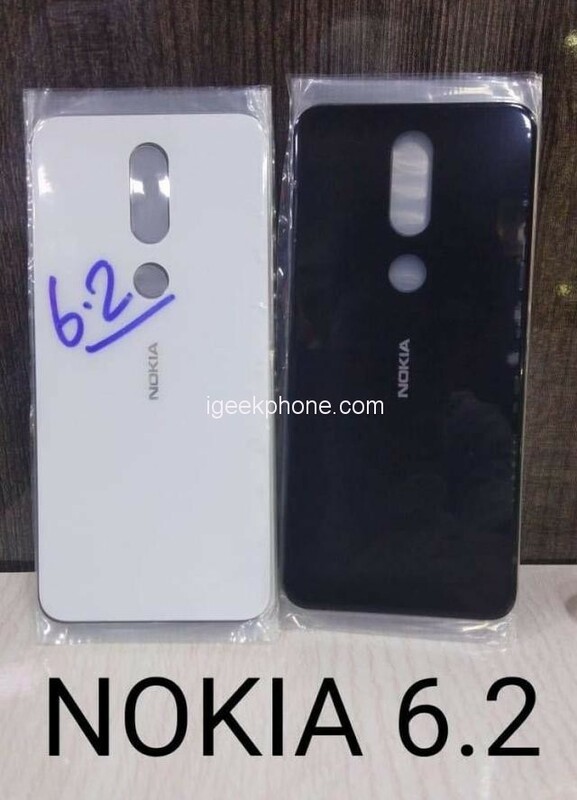 The information of the new machine has always been more accurate, so the final design of this Nokia X71 should probably be the hand-painted version. At present, the Nokia X71 has been exposed to running points, and the suspected National Bank version TA-1172 has also obtained 3C certification, will be equipped with 18w fast charge. Although there is no exact news when the mainland market debuts, according to the users who released the hand-painted design drawings, the Nokia X71 should be the cheapest boring screen mobile phone, so it may indicate the future price in the mainland market. It may be possible to sell around 1699 yuan ($253.10).